Leah Martin has spent her life trying to avoid temptation. But she's sick of low-fat snacks, counting calories, and her hyper-critical mom. Fortunately, her popular new bakery keeps her good and distracted. But there aren't enough éclairs in the world to distract Leah from the hotness that is Sam Cooper - or the fact that he just told her mother that they're engaged . . . which is a big, fat lie. 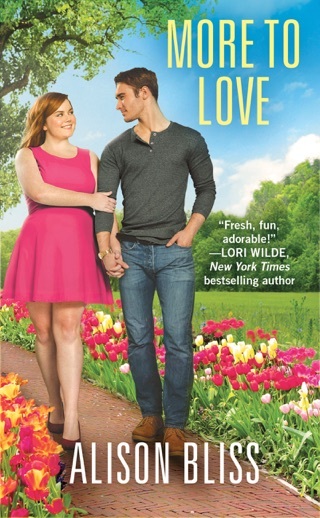 This mostly successful contemporary romance, set somewhere in the American South, piles on the appreciation for women of size. Sam Cooper, a gorgeous contractor with a sweet tooth, thinks bakery owner Leah Martin is delightfully curvy, but Leah keeps harping on her own weight, a habit she learned from her blithely critical mother, Nancy. To prove to Leah that she's desirable, Sam impulsively tells Nancy that they're engaged. Bliss's humorous writing extends to the title, a double entendre referring as much to Sam's rumored tiny package as Leah's weight. Readers will cheer when Sam goes after Nancy; he may have commitment issues, but he will not allow anyone to dis his fake fianc e. Some sour moments intrude: Bliss (Playing with Fire) definitely takes Leah's self-deprecation over the top, and an overused plot device sets the final romantic conflict in motion. Even so, two well-matched characters finding love without too much angst makes for a fun read. Loved this book. This is a must read along with the other two in this series. I love how the author portrayed strong women, who were like real women in size. The story line was so strong and keeps you reading, I could not put this down. Leah meets Sam under some frustrating circumstances. She believes he could never be interested in her, since she feels she is overweight and not attractive to him. How can she win a man when she doesn't like herself? Sam is attracted to Leah right away. He is dead set against relationships, due to dating a real loser in the past. After learning how he has hurt Leah, however, he shows what a gentleman he can be. Seriously fun and heartwarming story. I love how the author portrays each avenue of their personalities. The characters just jump off the page. The chemistry is seriously HOT! I loved every word of this must read book! Alison Bliss continues to be one of my favorite authors for so many reasons. Her books never fail to make me laugh out loud with their vibrant and sass filled humor, her characters never fail to sear themselves to my heart through every single second of charm and wonderfulness I get with them, and her enrapturing stories never fail to allow me to feel and experience it all as her thoughtfully crafted stories unfold. Her stories are ones that you feel and experience every word of, and all of her books are some of my most favorite reads ever. 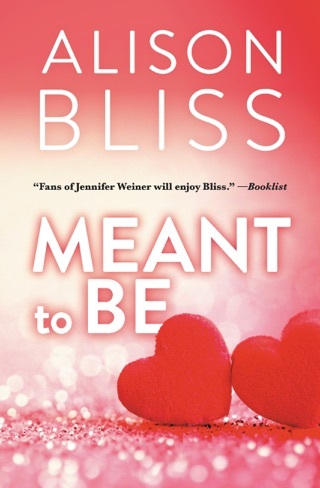 The way that Alison Bliss blends her smart dialogue, her banter filled and fiery characters, and the best and most distinctive charm that envelops you in with all that it has creates a book that literally gives you it all, and I truly can’t say that enough. Going into Size Matters I knew that I would be getting a story that was exceptionally written, and I knew that it would be sure to make me laugh and blush and feel it all as I experienced what this book had to offer. And you know what? I got just that, and so much more while reading Size Matters. I got a story that made me feel it all. I got a story that had me melting and falling right along with these two. I got a story that was so darn good to read, and then some, and that was just part of what made this such a fulfilling and enjoyable read. Size Matters was a story that was easy to connect and relate to through every word, while simultaneously being the perfect escape that I needed, and I truly can’t recommend it enough! The connection that Sam and Leah share is one fire from the very first second those two meet each other in this book. That instant connection between them is fierce, firing through every page, and it continues to grow and grow the more these two are together. It’s that same fire that soon finds these two in a predicament neither of them expected to be in, but the closer those two get, and the more they get to know one another, the more they realize they might be feeling a whole helluva lot for one another. What I loved about their connection was how I got to be there through every part of it, and that spark between them was everything! Size Matters was a phenomenally written, wholly enjoyable read that made me fall oh so hopelessly in love with every single thing that Sam and Leah were sharing. I found this story to be so real and authentic, so easy to love and fall right into, and so utterly fantastic from start to finish. This book made me laugh, smile, blush, and feel it all along the way with these two as they tried to sort out their unique predicament and the world of feelings they were sharing. From the very first page of this book I was hooked, and I truly can’t say enough how much I loved this book. This was such an incredible start to this series, and I for one can’t wait for more! This book proved over and over again how phenomenal of a writer Alison Bliss is, and how much I LOVE her stories. She literally never disappoints, and the way that she so outstandingly crafts this story will have you loving every single moment you get within its pages. This book was one that I loved every single word of, and I am telling y’all you will love it. From its charm, to its incredible characters, to its banter and sparks, to everything in between that pulls you in even more, you will be hooked. Size Matters is a story that is so easy to fall right into, so easy to love, and so darn phenomenal. Trust me on that one!